. Wild caught and sustainably harvested from the coast of Northern Norway.
. Produced solely from the Gadus Morhua species of codfish, which has been documented for its dramatic healing properties and used by the Old Norse people, including the Vikings.
. 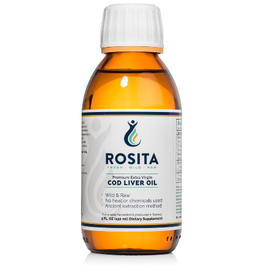 The only cod liver oil granted 'Extra Virgin' status by Norwegian authorities for authenticity and rare ancient extraction method.
. No heat, steam, rendering, chemical treatments, alkali refining, bleaching, winterization or deodorization are ever used.
. Retains only naturally occurring vitamins A and D in their natural concentration and proportion. No synthetic vitamins are added.
. Tested free of heavy metals, such as mercury, cadmium and lead.
. No artificial colors, flavorings or preservatives. Soy, gluten and dairy free.
. 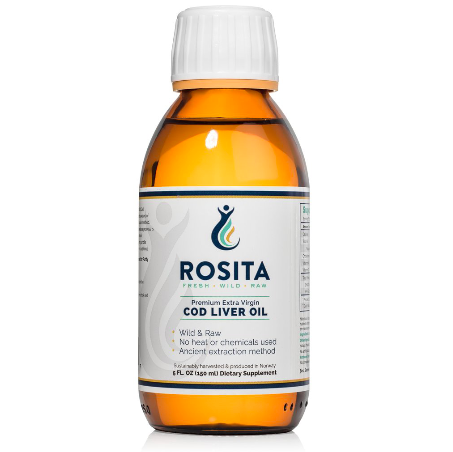 Ingredients: Wild & Raw Extra-Virgin Cod Liver Oil, antioxidants (trace amounts of rosemary extract and non-GMO full-spectrum natural vitamin E).
. Provides 443 mg EPA and 605 mg DHA per serving.
. Provides 395 IU vitamin D3 and 3,900 IU vitamin A per serving.
. Refrigerate. Unopened bottles can be stored in the freezer for improved shelf-life. Payment options: UAE customers wishing to pay in UAE dirhams can choose the 'Collect on Delivery' option at checkout. They will be charged the amount stated in AED plus 20 dirhams delivery charge (an invoice in UAE dirhams will be sent to customers with the courier).